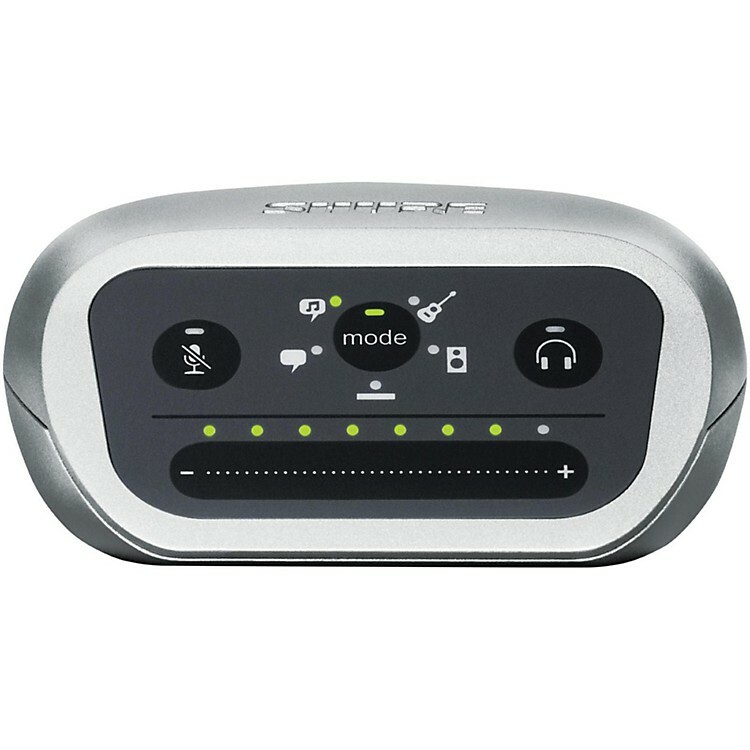 Digital audio interface, part of the Shure MOTIV Series. Connect any standard XLR microphone or 1/4" plug for guitar, bass or keyboard to any iOS device, Mac or PC for seamless, high-quality audio capture. Equipped with five built-in DSP preset modes, MVi offers the convenience of a studio in a compact size. An intuitive touch panel allows volume, gain and mode selection adjustments. MVi includes both a Micro-B-to-USB cable for connection to a PC, Mac or Android device and a Micro-B-to-LTG cable for connection to Apple mobile devices. Go digital with Shure MOTIV. Order today.